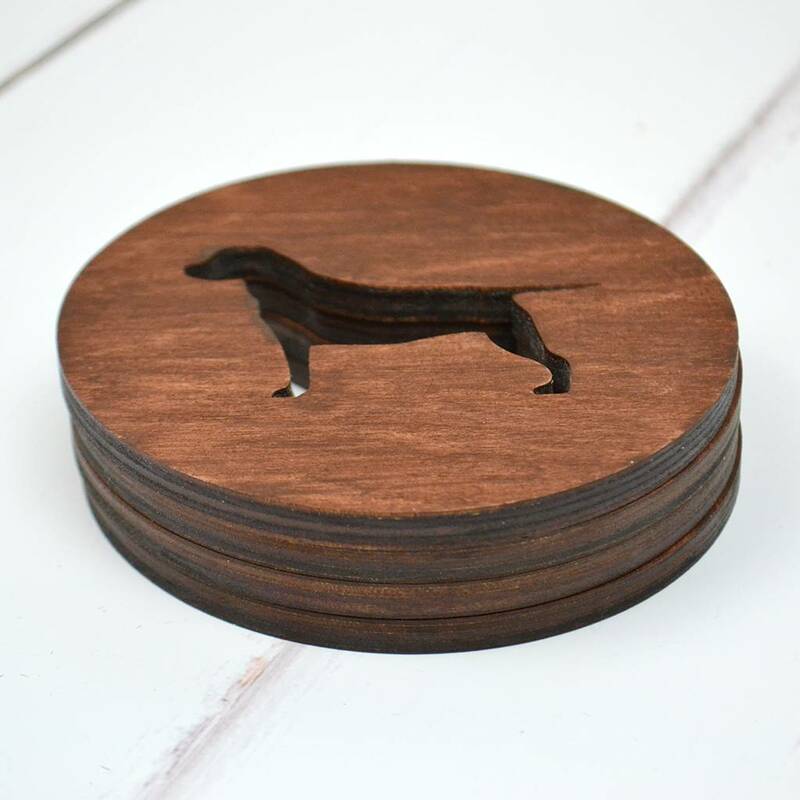 A set of four stunning hand painted wooden rescue dog coasters, the perfect dog themed Christmas gift! 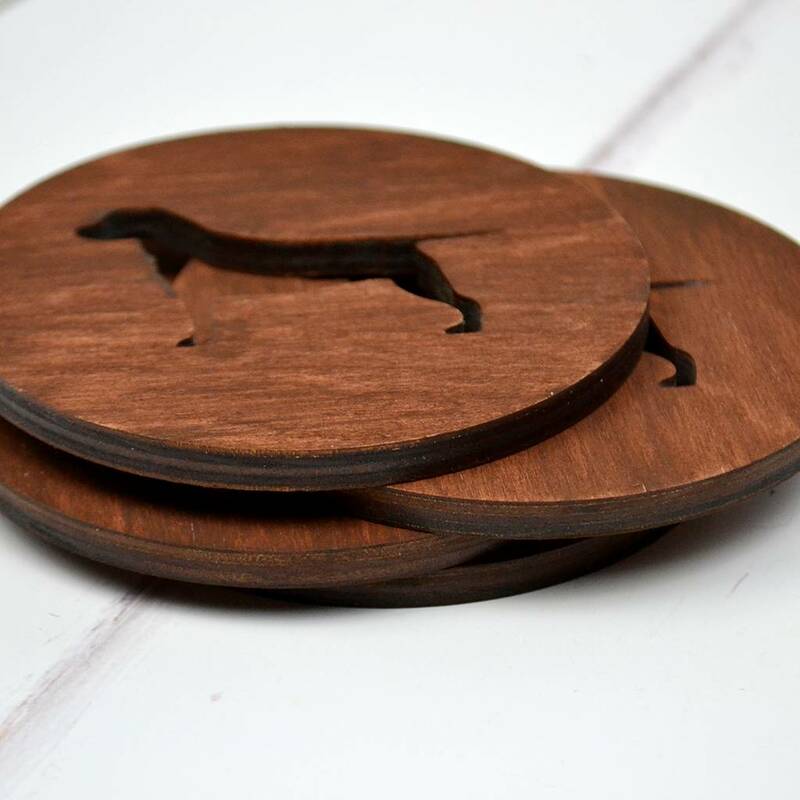 Laser cut from plywood, these wooden coasters have been hand painted in gorgeous warm mahogany. 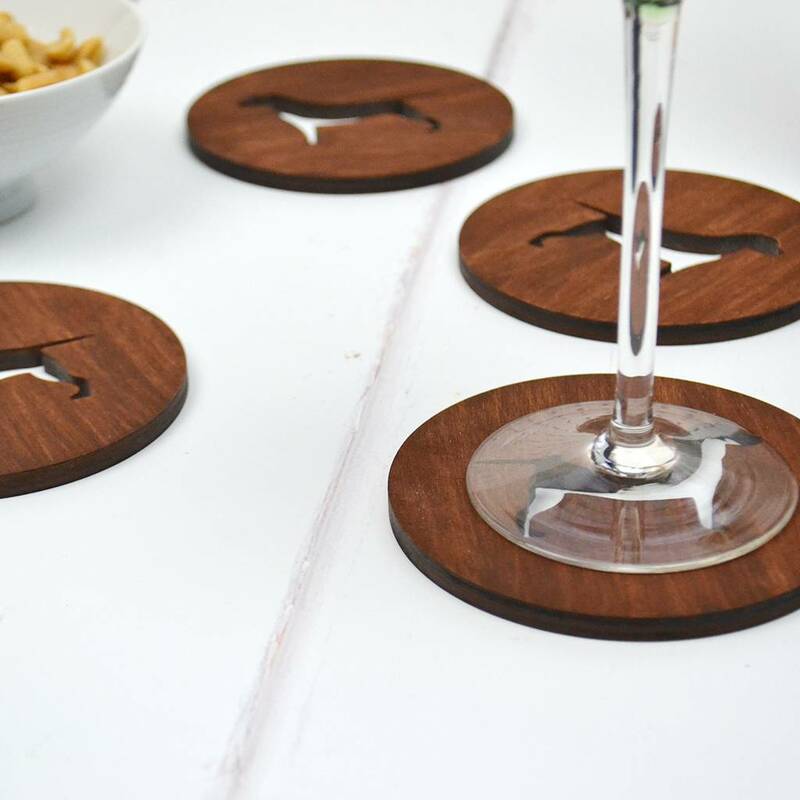 They measure 10mm in diameter and are 6mm thick, making them the ideal size for cups, mugs and wine glasses. 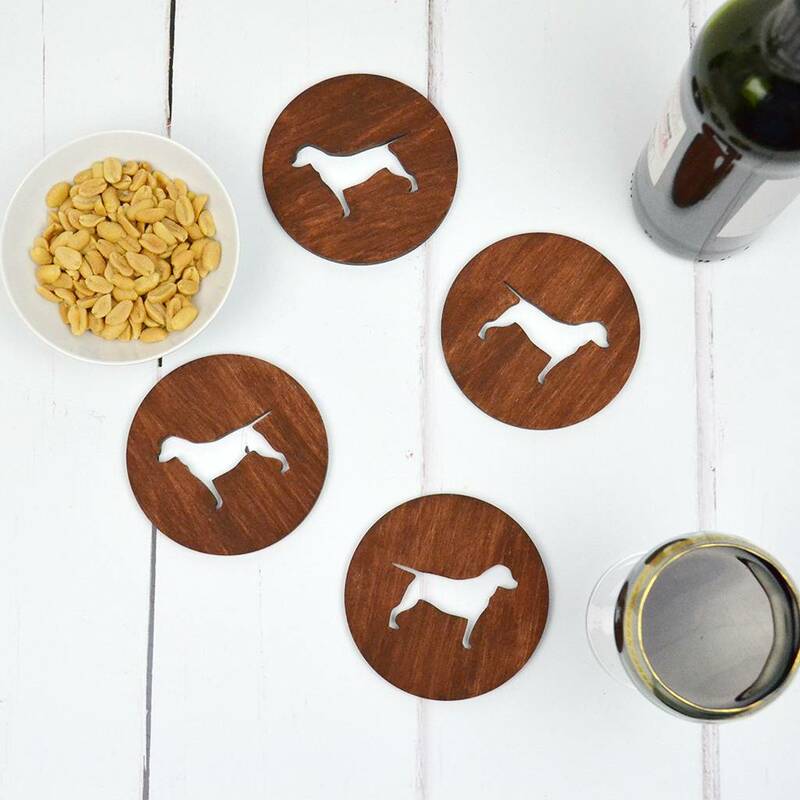 They make the perfect homewares feature for a party, a Christmas tableware feature or to add a splash of fun to a coffee table or bedside table. 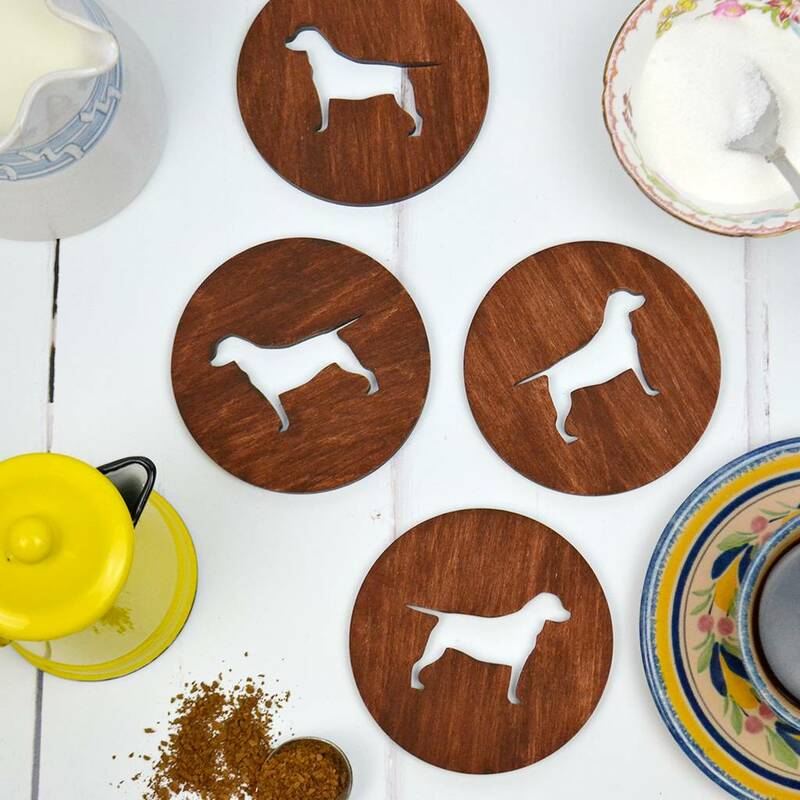 Handmade dog themed gifts, such as this individual homewares range, make wonderful home accessory by adding a spot of character around the home and as a gorgeous gift for a dog lover. 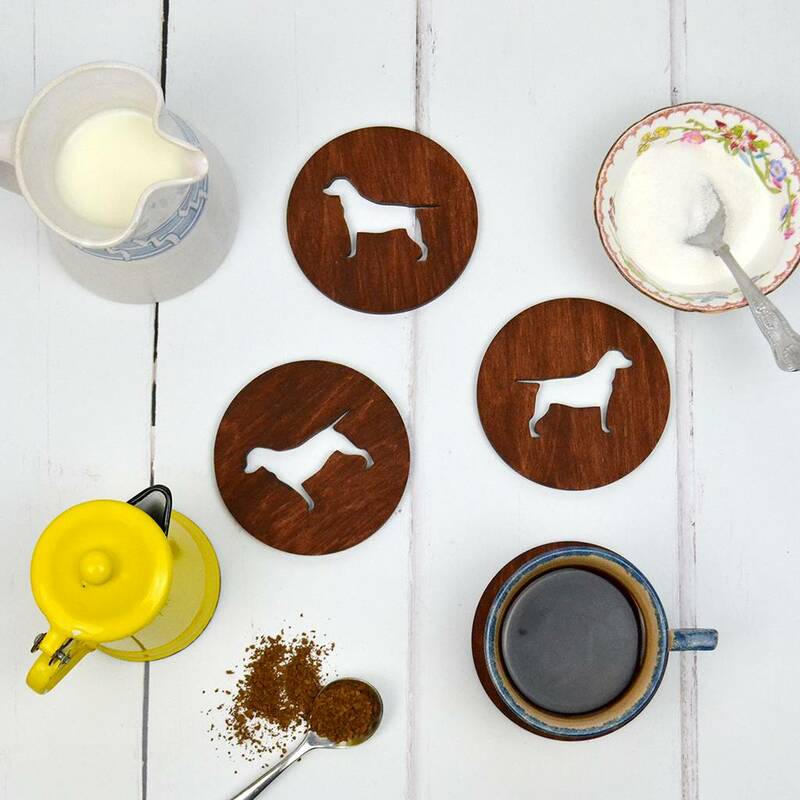 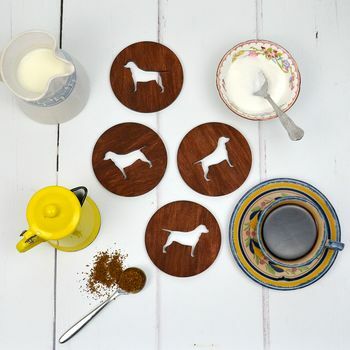 These four dog coasters come wrapped in an Adventures & Tea Parties box, ready for you to add your own gift wrapped touch. Wood and mahogany wood stain.